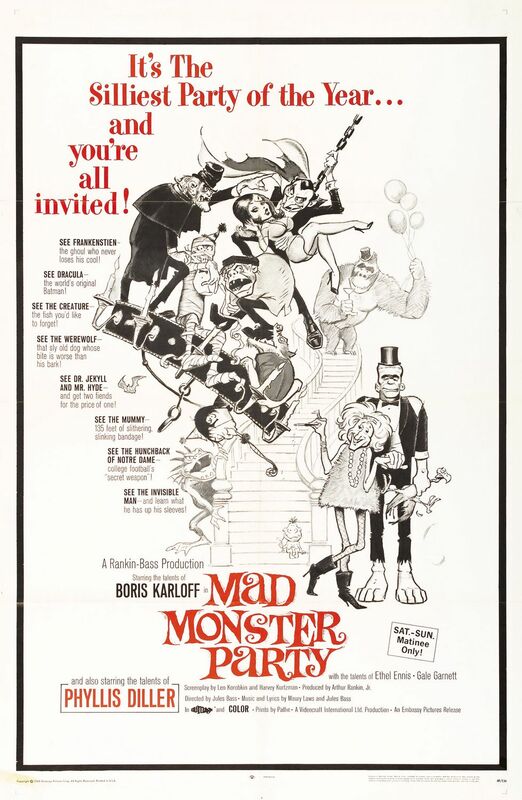 Mad Monster Party is a 1967 American stop-motion animated musical comedy film produced by Rankin/Bass Productions for Embassy Pictures. Type designer Phil Bracco designed a font based on the film title in the poster. The result is Monster Fiesta, an offbeat, fun, and frightful serif typeface. The Monster Fiesta font identified above is not available for free, please follow the link above and purchase the font. Meanwhile, you can take a look at our collection of fonts for cars, pop music and apparel as well as round-ups of new & fresh fonts around the web. In addition to Mad Monster Party, It seems we can’t find other examples (logos, movie posters, album covers etc.) of Monster Fiesta typeface in use.